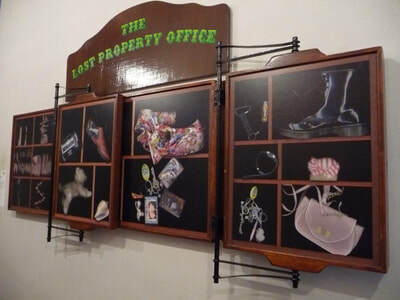 The Lost Property Office was commissioned by Metal for "On the Line" responding to connections between the River Thames, the railway line and community along the coast. I worked with class 8ST at Treetops School, using a modified scanner as a large-format camera to create imagery for this project. Initially inspired by train and transport lost property departments, we included both objects that are special to us, and which we wouldn't want to lose, plus actual lost items from the school's lost property box. We also made moving scans of our hands to show how the equipment captures pictures over time. 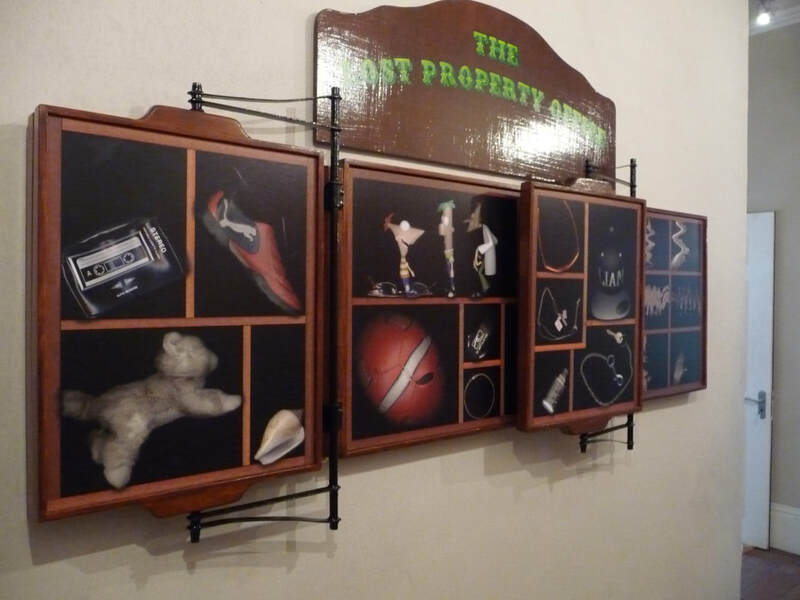 By creating this virtual record - incorporating seven panels of images - we can reunite owners with their lost items, and use the images to recover our special and loved objects if they were ever mislaid. We have also captured a record of items important to young people in 2013, which may seem as strange and curious to people in the future as we find items from the past. As our lives unfold, objects can embody our sense of self-hood and identity, becoming external receptacles for our memories, relationships and travels; becoming more infused with our identities, their preciousness increases. The Lost Property Office aimed to bridge the transition between real objects and the increasing move towards expression through digital and online identities. The Lost Property Office was featured in Guardian Education alongside other works from the project. You can see more in the video created with the children here (not subtitled). The video at the bottom of this page shows how the work can be changed by adjusting the moveable panels, which use a custom-built hinge mechanism devised by Walter Reid for this project. On The Line took place in 22 schools along the South Essex banks of the Thames from Thurrock to Shoeburyness. Each school worked with an artist to create artworks that respond to the connection between the Thames, the railway line and their community. 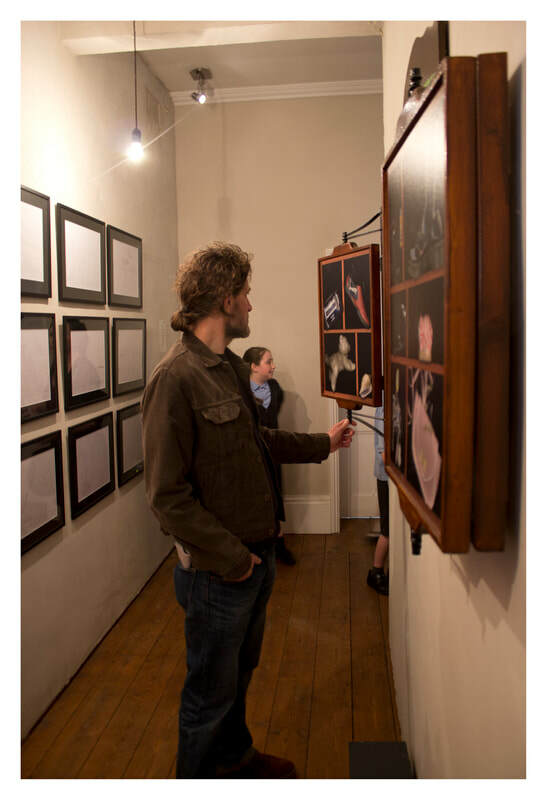 These works were brought together to create an exhibition at Metal’s Chalkwell Hall site (June & July 2013) and reopened as part of the Thames Festival, September 2013. Special thanks to cabinet maker Walter Reid, and signwriter Jo Hall.